OMG! Has your email been blowing up about GDPR like mine has? Well, the GDPR regulations deadline just hit TODAY (May 25, 2018). Anything named the General Data Protection Regulation (GDPR) doesn’t sound like a great deal of fun to read. And being out of compliance holds some strict penalties. Read on to find a quick and easy explanation why. Get clear consent for collecting people’s personal data. Allow access to the data that is stored about them. Fix that data if it’s wrong. Delete their data if the individual requests it. The General Data Protection Regulation replaces the now very outdated 1995 Data Protection Directive, which was created back when the internet was just getting started. GDPR was adopted in 2016, however, it allowed two years to fully implement its provisions. The deadline for this is today. First of all… fines. Do I have your attention? Could anyone from Europe possibly visit your website? 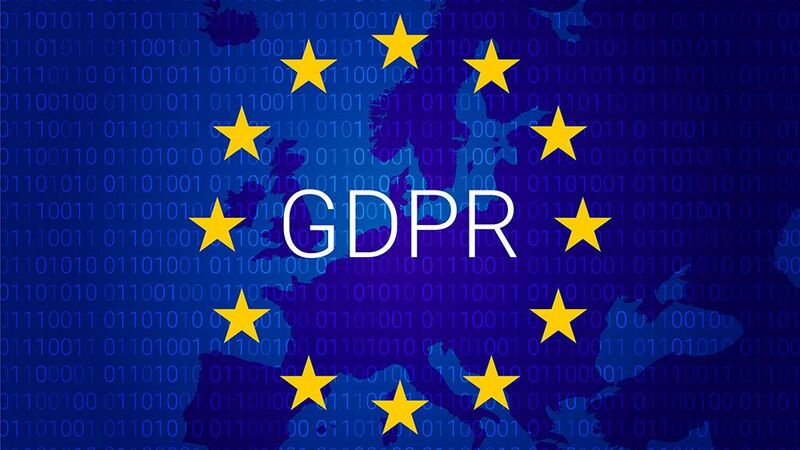 Even businesses not based in the European Union (EU) may still be required to be in compliance with GDPR if it collects data on the people in the EU’s 28 member states. Fines can go up to 4% of annual growth, in the worst cases, and have a cap of 20 million euros (or 23.3 million USD). But don’t panic. This isn’t the end of the world. To sum up, GDPR is probably more of a journey, not a destination. However, it’s not a journey that you ignore. If your company or business works with EU citizens or collects data concerning them (ie. if EU visitors come to your site and fill out a form, or you have cookies on your website), you have some steps to take. For more information on practical steps, we’ll have another article on Tuesday with some more information that we’re finding. We’ve also started to hear that there are phishing scams happening already. A GDPR focused scam is going around that asks you to hand over passwords and credit card details. For more info click on ZDNET.com’s GDPR phishing article (https://www.zdnet.com/article/phishing-alert-gdpr-themed-scam-wants-you-to-hand-over-passwords-credit-card-details/). Want more information about the steps UZU is taking proactive steps to protect our clients from GDPR non-compliance risks? Stay tuned for our next piece in a few days as we go into further detail about GDPR compliance steps.